Promotional prices may vary. Please contact us to discuss your requirements. 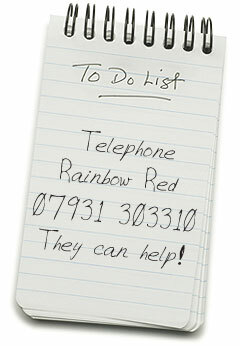 Rainbow Red is not currently VAT registered, so your invoice will not have concealed charges. Payment is by cash, cheque or bank account transfer in advance of or on the day of the session (BACS details are available on request). Alternatively, we can invoice you – our payment terms are 14 days (terms and conditions apply).